…brassy, wanton thoroughfare by night. 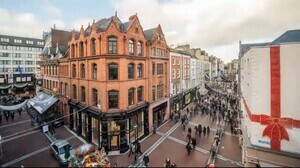 The Grafton Street, Dublin Xmas shopping timelapse experience by Gareth Byrne involving 750 photographs in 24 hours. Camden Street, Dublin’s Xmas makeover from the damn creative hipsters at Camden Street-based ‘experiential agency’ Modern Green. 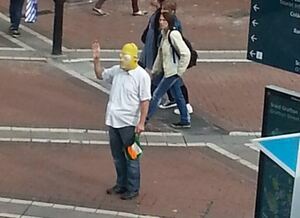 Posted in Misc and tagged Grafton Street at 12:58 pm on December 12, 2013 by Broadsheet.